Click on the above image for the winners! Thank you for participating. 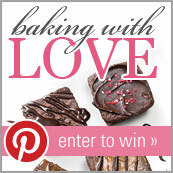 I enjoyed baking with love and seeing everyone's creativity - inspiring!